Bitcoin has a reputation in the public imagination for being an anonymous digital currency, like an internet equivalent of physical cash, but that is not entirely correct. When used normally, Bitcoin is more of a pseudonymous currency and not an anonymous one. Anybody can download a simple piece of software and install it on their computer to use Bitcoin. Because it is a decentralized, peer-to-peer system, you do not need to register an account with any particular company or hand over any of your personal details (unless you choose to do so, for example with a web wallet provider). Once you have a wallet you can create addresses which effectively become your identity within the network. This already gives an enhanced level of privacy compared to other digital payment systems, because you can begin using the network anonymously. There is also another side to Bitcoin, however. Because transactions must be confirmed by the network, and transaction history shared between all participants, there is a public record of all transactions which anybody can access. In fact, this is really what the ‘blockchain’ is – a shared public record of everything which happens on the Bitcoin network. So, even though your personal identity as the owner of a wallet may not be public knowledge, all of the transactions you are involved in are public knowledge. This can be a problem for the privacy conscious user, not least because there may be other ways that an observer can link the wallets you use to your personal identity. For example, most exchanges for buying and selling digital currency are centralized service providers who require at least some identity information from their customers before they can use the service. This is just one example of a service which uses Bitcoin but also requires identity information; there are many others, from casinos to online shopping sites. Fortunately there are things you can do to improve this situation. Many beginner’s will download their wallet software, create one or two address, and then keep using those addresses for an extended period of time. If you want privacy, then that is not the best way to use your wallet. The more you use an address the easier it is for an observer to build up a profile of your activity, whether for advertising or more sinister purposes, and even to link that activity to your personal identity. Bitcoin addresses are not meant to be permanent locations for everything you do. Instead, it will enhance your financial privacy if you view addresses as disposable invoices – each time you are going to receive a payment you should create a new address specifically for that purpose, and then never use that address again afterwards. If you have a desktop wallet on your computer then you should be able to create any number of addresses with no problem, and no matter how many you create all of your old addresses will still be able to receive payment in case somebody sends you money using an old address they have on file for you. Most wallets today will take care of this for you, automatically creating a new address each time you want to receive a payment, but it doesn’t hurt to be aware of this issue. You can further enhance your privacy by using a mixing service. You can use this when you send a payment to somebody, when you are sending coins to your wallet from the site you bought them on, or you can even send money to another address you own through a mixing service in order to ‘launder’ it. This works by simply mixing up your coins with a large number of other coins from other sources before sending them out the other side. By doing this, it becomes difficult or impossible for an observer to link specific payments into the mixing service with specific payments coming out of the mixing service. One popular and reasonably priced mixing service is offered by Best Mixer, who also have a dedicated TOR based service, but there are also many others about so if you like to shop around then a bit of Googling may be in order – just be careful to check for review though, because there are a couple of scam sites out there which claim to be mixers but actually steal your coins. If you want to make sure that your financial activities with Bitcoin cannot be connected back to your ‘real world’ identity, then you may well be wondering how to buy and sell Bitcoin anonymously. It is when buying your coins that you are most at risk of your digital activities being associated with your personal identity, as many sites require you to verify your identity and provide ID documents in order to make a purchase. This is to help them to avoid prosecution under money laundering laws. So if you want to stay anonymous when using bitcoin this is an important part of the process. If you cannot arrange a private deal using the methods below then you can buy using any other method and use a mixing service to transfer coins to your wallet. This will usually be enough to protect your privacy, although it isn’t quite as good as not revealing your identity anywhere in the first place and has a small cost. #1 Using a peer-to-peer exchange where you can buy and sell with other individual users rather than a company will provide you with a better level of privacy than using a central service. Bitsquare: This is an entirely decentralized exchange, in which you trade directly with another individual without needing to go through a central service provider. You download a piece of P2P software rather than going to a website. When you open Bitsquare it creates your own ‘hidden service’ on TOR with your own .onion address, routing everything through this well established privacy service to hide your IP address – which can be used to identify you. There is no registration and no need to provide even a username. You do, however, need to provide a small security deposit of 0.01 bitcoin which you get back when you have made a trade or if you cancel your offer, so if you want to buy your first bitcoin then you will probably need to get some through one of the other options first. I personally rate this as the best method to buy and sell bitcoin anonymously, but the fixed fees mean that it is expensive for small amounts. LocalBitcoins is one very popular peer-to-peer service for buying and sell coins, which operates in many different countries around the world. When using this site you have the option of providing identity information or not. Other users will also have the option of dealing with anonymous users or requiring identity information. Many users will require some kind of identity information, either through the site’s own ID verification system or privately over chat in order to protect themselves against both fraud and government investigation. But it is still possible to arrange anonymous trades through this method. MultiSigna As the name implies, this exchange uses multi-sig technology for all exchanges, meaning that you do not need to trust your coins to the exchange for safe keeping, or rely on the exchange to keep their own internal books accurate – everything is on the blockchain. As the users of defunct exchanges like Mt Gox will attest, this is a big bonus in terms of security, and also makes them more decentralized and directly peer-to-peer than other options. The fees start out at the standard 0.5%, but if you are a regular trader and progress through the ‘user levels’ you can take advantage of reduced fees. Coinffeine is not only peer-to-peer, but is also a decentralized exchange. Currently the only fiat payment method is OKPay, which has its own identification requirements, but you do not need to share personal information via Coinffeine itself and additional payment methods will be added in the future. #2 When making a purchase on LocalBitcoins, users who are particularly concerned about their privacy should consider making payment in cash. This is particularly important if you are making a high volume of purchases because the volume alone may trigger a deeper investigation by your bank – for smaller amounts its less important but may possibly be preferable to some users. There are two ways to do this: an in-person trade where you meet up with somebody (often requires a larger purchase to make it worth their while coming to meet you), or ‘cash deposit’ where you go a branch of the sellers bank and deposit money directly into their account. Once you have signed up just click ‘buy bitcoins’, then underneath the list of the top offers you will see a link which says ‘Show More’ – this will show you a list of payment methods to choose from so that if you then click ‘cash deposit’, for example, you will see only offers from users wanting to sell you coins through this method. #3 There is an ID verification system on the LocalBitcoins site, but its use is optional. Some sellers will require this, others will not. Some sellers may also ask you to send them a copy of your ID through a private message (although if you can make a cash trade either kind of ID requirement is less likely). Generally, providing your ID to an individual is better than uploading it to the main site, but some people may still be uncomfortable with this. Each seller should list their particular requirements within the advert, and you can also send them a message before opening a trade to get more information about their policies, so it is not difficult to ‘shop around’ for the right seller. Remember, however, that the offers listed here are constantly changing as different users go on and offline, so if none of the listings for your chosen payment method suit your needs it may be worth having a little patience and checking back later. Stealth addresses are a reasonably new feature which allows users to generate a new public address to represent any regular Bitcoin address. This means that you can then send money to this new stealth address without anybody knowing the true destination of the funds. You do need a wallet which supports this feature in order to use it, and at the time of writing it has not been widely adopted. If you want to give it a try then Dark wallet is a great place to start – its a browser wallet which works as an extension for Google chrome and includes stealth addresses as well as other privacy features. If you have used a coin mixer then you can check how well its privacy services are performing with a taint analysis. This shows which addresses have sent coins to your address and is a good way to see whether mixing services are performing to your expectations. There are plenty of different service out there, so if one is working well you can always choose another. This will perform a kind of forensic test to see which addresses it thinks probably did send coins to the address you are checking. You can, for example, enter the address given to you for a marketplace site to check whether any observer would be able to tell whether your personal wallet sent coins to this address. Ideally you would want your personal address not to show up in the list at all when you do this kind of search, or at the very least you would want it to come up with a low taint % – meaning an observer could not say with any high degree of confidence that there was a link between the two addresses. I’m sorry to hear that. I’ll try to review the article and make it simpler. In terms of buying BTC anonymously – that’s the hardest part, although in actual fact if you use a mixer (mixers will provide their own instructions on how to use them, just follow one of the links in the article above) there should be no way to trace the coins back to where they were bought so you will be fine anyway. To buy anonymous: 1) Go to https://localbitcoins.com/?ch=3o3k 2) Register 3) Click ‘buy bitcoin’ and search through the ads – each ad should explain the requirements of the seller in terms of ID. You won’t need to verify your ID with localbitcoins, but many sellers may ask you to show them your ID – this is at least better than having it saved on the site if you are concerned about being tracked. You are less likely to need to provide ID to the seller if you arrange an in-person cash trade than an online trade. The main point, however, is that if you can’t buy anonymously then just make sure that you send your coins to the marketplace via a mixing service so the link between you as the buyer and your profile on the market site is broken. Here is my question. Right now I’m currently getting bankwire payments from an advertising agency as their payments to me “the publisher”. They’ve recently opened up more payment methods with bitcoin being one of them. My concern is this, if im going to do bitcoin i want to use it to the best of my ability and stay totally anonymous. For example we have $50,000 coming to our wallet in bitcoin which is an anonymous transaction. The problem is when we go to one of the centralized exchangers we of course need to provide our bankwire information which is not anonymous. What is the most anonymous ways we can run the money through a coin mixer where we can be reasonably safe towards the end where we cash the money out to our bank via wire? 3. From those addresses we use an exchanger to trade bitcoins for bankwire funds. The three steps you mention are absolutely correct if you want to ensure that nobody can see who sent you the coins. Sorry to be pestering you. But the 3 things I specified would suffice or what would you recommend the ideal method be? If you could give me some more details I’d greatly appreciate it Dean. Yes that would suffice. There really is not much method – just use a coin mixer, that’s it. They aren’t difficult to use either, give it a try and you’ll be surprised how easy it is. Hey Dean, I’m very grateful for the info you have posted about getting started with Bitcoin anonymously. I’m a network engineer by trade so I am fairly knowledgeable how internet security typically works. Having said that I am still humbled by all the aspects of the “Darknet”. I’m just starting out and would like to use Bitcoin anonymously. Of course I want to do things “the right way”. Your point about making the initial purchase of bitcoins with cash is well understood however I’m curious if using a “strangers” credit card to make the initial purchase would still protect my anonymity? I happen to have valid cc info from people that don’t know who I am. Can this work if I still mix/wash the coins? Again, getting started correctly is what I really want to be sure of. I sincerely appreciate your help. I won’t give you advice on using stolen credit cards. Thank you again for your feedback. On reviewing this article I have to admit that I agree – it wasn’t one of my best in terms of making everything clear in a way that is accessible for beginners such as yourself. As a result I have re-written parts of the article in a way that I hope will make it a lot easier for you to use. Please do not hesitate to post any further questions you may have here in the comments. Hi, I’m new to bitcoin and have read about 3 of your articles, other random stuff on the net, plus a few youtube videos. I downloaded the Electrum wallet and am ready to buy some coins. If I meet someone in person from Locabitcoins.com to buy bitcoins in cash, what will they actually give me? Real physicall bitcoins or some adress, (which I would’t know what to do with), or what?…. Please get back to me. Hi rcollazo, I like beginner questions. They will not give you physical coins, they will send coins to your wallet on LocalBitcoins, which you can then withdraw to your Electrum wallet afterwards. If you have a phone or something you can use to log into localbitcoins while you are there with them you should be able to see the coins arrive in your account. They should be able to guide you through it – it isn’t a difficult process. Good luck! OK I’m confused about localbitcoin, I’m interested in safely turning bitcoin into cash. How does localbitcoin do this, or does it do this? What’s the safest way to turn bitcoin into cash? Do you know anything about these posts that say you can turn bitcoin into an anonymous prepaid credit card? Thanks so much for your help! Your blog posts are the first ones I’ve found that actually answer my questions. Localbitcoin just connects people who want to buy with people who want to sell. So yes, you can sell bitcoin for cash as long as there is somebody in your area who wants to buy for cash (which in most reasonable sized cities there will be). Just click ‘sell bitcoins’ from the top of the screen. This will give you a list of the best offers across all payment methods. To view only cash offers click ‘View More’ from underneath the list and select cash from the options it offers you. Fantastic article. I am fairly new to bitcoin, I have made a few transactions however, and I learn something new almost every time. The best way to learn is to do it, so go and buy some small quantities of coin and buy something. Plenty of legit companies are accepting bitcoin now. Circle.com is a great way to get your feet wet, but it requires a credit card or bank account, so anonymity isn’t going to be very good. My next learning session will be sending myself bitcoin to a different address through a mixer. I feel like that can take some of the worry away if you make yourself the buyer and seller for a few practice transactions. The Taint analysis is a great way to see how well the mixer is working too, thank you for that. “The best way to learn is to do it” <- that is so true. Often it ends up being easier than you think too, because a lot of the time these things look quite complicated just because they are new to you and very different from your previous experience, rather than because they are actually complicated in themselves. Sending something to yourself and starting with small amounts is a good way to test and gain confidence too, great tip there! It must be possible to accomplish the same thing by using an Iphone (or Ipod) or even Android device. I was wondering, how does a seller on localbitcoins.com minimize their risk? Isn’t it a huge risk to sell their bitcoins (which in order to get them they had to probably show their ID or bank account) to random people? If someone does something illegal with the bitcoins and didn’t “anonymize” the way back to him, the first identifiable person in the chain would be the pro trader, right? Also, isn’t there the risk from my side as well? The trader knows my face, can take pictures of me or whatever or even be police. Interesting questions. I’ve heard of a couple of pro-traders on localbitcoins getting in trouble due to money-laundering investigations, but I think that is only a risk if you are a very high volume trader and for all I know those people were deliberately involved in money-laundering and using localbitcoins as a cover. You can reduce this risk by a) only dealing with people who have verified their ID through the site, or b) asking users to privately verify their ID by showing you a picture of them holding an ID card or something and keeping a record of the identity of people you’ve dealt with. If the police contact you all you need to do is to then hand over your records and I think that you have then met all legal requirements to be protected from any kind of prosecution. If you want to deal with anonymous traders then you can protect yourself by only dealing with people who have a strong history on the site and not dealing in large amounts with a single customer, which will minimize or even eliminate the chances of you doing enough business with money-launderers to come to the attention of authorities. I have never heard of anybody getting in trouble because of somebody they sold coins to doing illegal things with the coins later, and I’m pretty certain that this could never happen. Its more of a risk if you are actually doing illegal things yourself that if police get your ID from trading it will give them the clue they need to then find other evidence against you. If you haven’t done anything illegal then they obviously won’t be able to find any evidence – simply having owned the coins used in illegal activity is no more of a crime than having at some point been in possession of a bank note which later gets used to buy drugs. The same goes for buying coins that have been used in illegal activity – you have no legal obligation to check the entire history of your bank notes, and likewise you don’t need to for bitcoins either. I’m asking questions not really a reply. I’m a Newbie and use Tor for Android. I can hardly figure that out! My questions are: If I were to setup an account with, let’s say, Coinbase, do I also have to hire a mixing service? 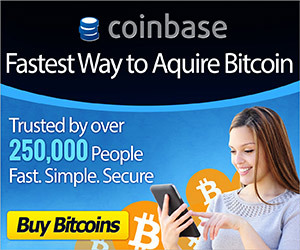 I know with Coinbase, I have to have a bank account with them. I don’t like the idea of anyone having access to my bank account, and I’ve read it’s not really cool to meet someone to do a bitcoin deal. I wonder if there’s any place that I can setup a account and they also mix, but I can wire cash, via Western Union or? I don’t have credit cards and how about prepaid cards? There was a place in UK, that does this but can’t do business in US. I am basically lost. Can one go to a bank, credit union or, and open a bitcoin account? They said if physical property was purchased, name and address. I’m lost, like I said. I don’t really like anyone handling my account to see what I would buy. Didn’t mean to make this a novel. Great article! I’m lost. I really wish you could go to a bank or credit union and open a bitcoin open. One day, perhaps, but not yet. You may like to take a look at this recent article by our new author Jordan about the Mycelium android wallet which includes the option to connect through TOR. http://cryptorials.io/how-to-guide-mycelium-bitcoin-wallet-android/ Mycelium also has marketplace for buying and selling coins, but I haven’t used it myself so I’m not sure about ID requirements or payment methods and so on. I don’t know anywhere you can buy and sell coins, have a wallet, and get your coins mixed all in the same place. If you have a coinbase wallet they could potentially watch who you are making payments to, yes. Its really not hard to use a separate mixing service though. There is usually a small fee, but the process is very simple: typically you may give them the address you want to send a payment to, and they give you a different address instead; you send the payment to the address they provide and they will mix them and then send them on to the recipient for you. I often use Helix Light by Grams, which is on tor and is very simple but still very good – http://grams7enufi7jmdl.onion/helix/light. If I buy from let’s say, Expresscoin and my wallet is Mycelium, which I downloaded to Android, I could use a mixing service from Expresscoin to my wallet for the buy. Is this part traceable back to the real me? I understand from mixer to vendor is not traceable to me because this one service says it erases all transactions. So if someone was hunting all they would see is a transaction with no idea who the parties involved are and what was bought? How do I keep my shipping address private the vendor has to have to ship whatever? Would the mixer be able to see who’s the vendor, location and items purchased? I would use Android with Android Tor Bundle. Now I hear about TOR and using VPN? Multiple addresses! Help, I’m being alphabeted to death! Yes, I am reading your recommendation of topics. I’m a Senior and and function very well. I do understand a lot of this. I don’t care if whoever can see anonymous transactions that can’t be traced, but I don’t want whomever to see I had lobster and wine tonight, steak tomorrow, etc. You get my point. I don’t exactly understand your first question – is what part traceable back to the real you? If you mean the payment from exchange to wallet then if somebody had access to your personal information and withdrawal history from the exchange they would know that the address you sent money to was probably your wallet, yes. You could use a mixer there as well for extra privacy, but I’d guess most people probably don’t. Nobody can see what’s bought without accessing the internal database of the site. The mixer is to prevent anybody being able to tell who you have sent the money to, because it gets bounced around a lot of random addresses before getting to the destination. Anybody viewing this on the public blockchain would see many different transactions to addresses created for use in the mixer, and wouldn’t be able to tell who was the actual recipient. If you’re using a peer-to-peer site and the vendor uses PGP you can encrypt your shipping address with their public PGP key, meaning that only they can view it, if you want it to be as secure as possible. Many sites like this, especially deep web sites, encrypt messages anyway, but if the site gets hacked or servers taken there may be a possibility of somebody else being able to read these messages, so using the vendors PGP is a bit better if you don’t mind the extra difficulty (but again, I would guess that the vast majority of people don’t bother and don’t get tracked anyway). I wouldn’t worry too much about VPN in your case. The main purpose of this is to hide the fact that you are even using TOR. If you are very privacy conscious it is good, but if you are just looking for privacy for the occasional online purchase its not going to make any difference as to whether anyone can see you. Creating new addresses for different purposes isn’t too hard from most wallets, but again its not essential. If you are doing nothing else (no TOR, no mixing or anything) then using disposable addresses can give you a low level of enhanced privacy, but it doesn’t have a bit effect if somebody is intent on tracking you. I think you’ve pretty much understood how it work Greg – I think you just don’t quite trust that you have understood it yet. People should be careful about buying from a site found on hiddenwiki though, they often turn out to be scams. Its safer to buy from a marketplace which has seller ratings and independent reviews and so on. I need to ask, I read that every payment store my IP adress, it is true? If yes, how can I protect it? Which is the best anonymous wallet to use? I heard lot about Electum, but do not know things about IP adresses in this case. Thank you for time and answer, have a nice day! Your IP address is not included in a Bitcoin payment whichever wallet you use, but your IP address may be visible to and stored by the websites you visit or tracked by other third parties. If your IP address is associated with a bitcoin payment, then a spy may be able to associated any future payment made from the same wallet with that same IP address / your identity. In short: use any wallet, but use TOR is you are concerned about your privacy, and if you want extra protection use a coin mixer when sending payments. I haven’t setup my bitcoin buying yet. Next week. I’m thinking of using Coinlink.com, to buy coins because I can send a Western Union for cash. Don’t want any to have bank account. I guess they send coins to their wallet I have and then transfer to my Mycelium I have downloaded? I have found a vendor on Cyrpto Market. I send my bitcoins to the mixer and give them his address? And they send? Happy New Year to you too Greg! Never used coinlink.com so I can’t answer any questions about how that works. You give the mixer the address of the marketplace – they should give you a deposit address and you should use that and then make your purchase from the balance you have on the site, I think – that’s usually the way. They yes, they give you the addrses to send coins to and they send different coins on to the destination. When you send your address using the internal messaging system of a marketplace it will be encrypted anyway; there is a tiny risk that the site operator’s encryption keys could be found if their servers are confiscated, but if you are just making the odd purchase and aren’t prolific to the extent that investigators suspect you may be reselling as a business then the chances of them following up on that are negligible I think. Yes, it could raise unwanted interest when they see you are using TOR, you may possibly get added to a very large list somewhere, but they aren’t going to come knocking on your door at 6AM for it or anything like that. More like if your name comes up for something else then it will flag that you are also a TOR user – building up a profile and all that. Its just a matter of how careful you want to be and what you are actually doing. If you are making an occassional purchase that you want to keep private then perhaps you don’t need to take the same level of precautions as somebody running an international drug business, or a dissident in a country with a totalitarian government, but its really up to you to decide what you feel comfortable with and what is just too much hassle to be worth bothering with. Did you read our article http://cryptorials.io/how-deep-web-dealers-sell-drugs-online/ it may be of interest to you. I’m just a blogger, and I recommend you be very careful about entering into such a partnership with somebody you’ve met online. I don’t think so, how do you think they are a fraud? Is a mixer necessary for transactions between addresses belonging to the same user? I’m suuuuper new, at this and though of it like spreading out your btcs over many of your own addresses through “fake” transactions then regrouping them back into a more permanent (for the moment) address. Also, was anyone inspired to get into bitcoins and darknet through the movie DOPE? Definitely spiked my interest. What you describe sounds like you want to try to mix the coins yourself. You need a large number of coins coming from many different places for mixing to work, so personally I would just use a mixing service. I just received a paper wallet from a nearby bitcoin ATM. I don’t want to buy any bitcoins to make purchases, but only receive bitcoins for selling a product. What is the most anonymous way to convert my bitcoins to cash? Can I mix them, then convert them to my PayPal or other U.S. dollar account without them being traceable to who sent them to me? or the site I used? I would recommend localbitcoins. If you are concerned about privacy then yes, you should use a mixer when sending them to localbitcoins to sell. I would recommend that you don’t accept paypal payments for bitcoin, because their payment can be reversed and yours can’t so you will leave yourself at high risk of being scammed. People are suggesting cointocard.co to receive Bitcoin anonymously directly to a credit or debit card, did anyone try? great guide also is it cool if i regurgitate this on my blog? Yes of course, as long as you provide a link back to the source you can hep yourself to any article on this site. That’s definitely the best way, but takes a lot of investment and time and will probably lose you a lot of money unless you can get very cheap electricity. hey mate, coinmixer.se link is broken. cheers! I’ve never used them….i tried several but i think bitcoinmixer.net is the best. It’s simple and quick and you dont have to create an account. the best one i’ve used is bitcoinmixer.net It’s fast and reliable. I’ve mixed 5-10 bitcoins at a time there. Mix yours bitcoins in bitmixer application! You will be impressed by safety and comfortability of our service. Excellent article, Dean! :I know what he feels like being a Newbie. I have studied this process from you and other articles. I setup a Mycelium wallet with 4 cents, lol. I’ve not bought any or made a purchase with Bitcoin. I guess it’s not that critical to hide Bitcoin purchase, but if someone is watching they would see you bought x amount and from who. As far as buying from market vendor, I’d do mixer way. I worry that you must provide shipping address. That’s where I get nervous. Buying isn’t illegal, but are you obligated if say, LE was watching and would one have to reveal where the Bitcoin went? If you use PGP to encrypt messages rather than relying on any encryption used by the site you are on then only the person you are sending them to will be able to read them – ie only the merchant (or someone who has their PGP key) can read your shipping address. As for LE being able to force you to reveal info I can’t answer that as it depends on where you live, what they are investigating etc. Send bitcoins from the market to a P2P exchange like Bitsquare.io, using a mixing service in between (so you send the coins to a mixer which then sends clean coins to the exchange for you). I think us newbs are getting confused because there is no step 1., step 2..like you say send them from the market to a P2P like Bitsquare.io, using a mixer. Who are the current, most reputable mixers, most reputable P2Ps, and I’m not really kidding about sharing the info in a step 1., step 2.,format. It would really help a lot of us out. I will try to re-write the article when I have time to make it easier and provide a step-by-step guide. Hi, could you please explain this mixer thing again. Basically I send bitcoins and what exactly happens? How do My bit coins get hidden through this method? So far the only bitcoins I have are from playing apps. Basically the get mixed up together with other people’s transactions so that it is very difficult to follow where they are going. If you use a P2P exchange like Bitsquare or LocalBitcoins the payments will come from other individual users, so your bank wouldn’t be able to tell they were anything to do with Bitcoin. But if you are still uncomfortable with having payments going into your bank it is also possible to buy and sell for cash through localbitcoins.com. If you want anonymous bitcoins just setup another wallet, create a receive address and use a mixer like http://www.bitcoinmixer.net I’ve been using them for almost a year and i’ve mixed up to 2 bitcoins at a time and never had a problem. Hi Dean, if I use a bitcoin ATM to change money to bitcoins, how does the machine connects to the blockchain? Is it a full node? Does it connects to nodes in other countries? Is it random choice of nodes? Will anyone be able to trace it back to my country, or to the location of the ATM? There are different types of ATM with different rules and methods. Many of them actually ask for ID, especially if it is more than a very small amount. They probably aren’t the most private way to buy and sell Bitcoin, but you should check with the operators of the individual machine in your area to see how it works. So say someone wanted to setup a Paypal account using someone else’s card and information. Now he wants to use btc to extract money from said account. How would he receive the money anonymously via btc without being traced? From what I understand, he would send the money through a mixer to a P2P exchange? Or is that not enough? Do you really think I’m going to be your advisor for how to steal money from people? That’s pretty dumb. I fully admit to being a loud and proud noob. I’m interested into getting into cryptocurrency mainly because it’s a technology that I haven’t explored and I’ve been studying internet security and forensic digital security. I clearly need to make a deposit to get started. I have checked out many of the options and am leaning toward bitsquare. I’m very hesitant about localbitcoins. My issue is the ID verification. I’m not so worried about the process, but I am worried about handing over a scan of my id and other info like a utility bill. This just screams of an opportunity to scam for people’s private information to then sell on a marketplace. I don’t see a clear way around it given that my payment will be with a Discover card. Any ideas or contact info for someone who is trusted to dispose of the verification info after it is confirmed? Let’s say I’m buying x amount of Bitcoin from Coinbase using a bank account. I understand that it’s public I bought x amount, etc, to my wallet. No biggie in my humble opinion. It’s only when I buy from a vendor I really need to use a mixing service, so Coinbase or anyone knows what I bought? Newbie here still. Excellent article!